Roberto Bolaño's epic novel, 2666, is to be adapted for the stage after a jackpot winner ​donated part of his $153 million prize to the Goodman Theatre in Chicago. The 900-page novel will become a five hour long play, adapted by Artistic Director Robert Falls and Writer in Residence Seth Bockley. Set largely in Santa Teresa, an urban sprawl on the Mexico–US border that draws in lost souls, this five-part novel isn't the kind of book you'd expect to find on stage both because of its length and content. Among Santa Teresa's lost souls are three academics on the trail of a reclusive German author; a New York reporter on his first Mexican assignment; a widowed philosopher; and a police detective in love with an elusive older woman. But there is darker side still to the town. It is an emblem of corruption, violence and decadence, and one from which, over the course of a decade, hundreds of women have mysteriously, often brutally, disappeared. 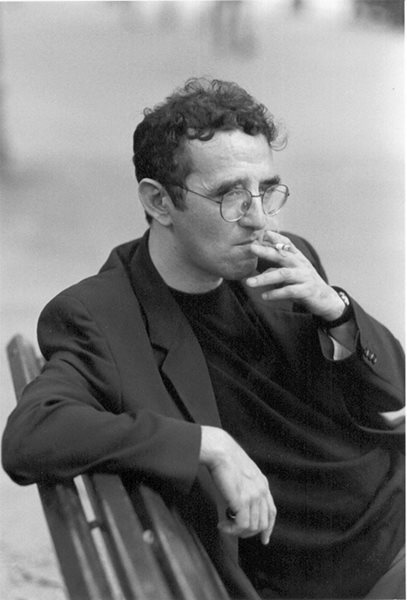 When Picador first published the book in the UK in 2009 it was met with huge acclaim: 'Bolaño has come close to re-imagining the novel’, said the Independent; the Guardian called it ‘A visionary exploration of life and literature’. Donor Roy Cockrum was inspired to fund the production after seeing Nicholas Hytner's adaptation of His Dark Materials by Philip Pullman at the National Theatre in London, according to ​The New York Times. Keep an eye on the ​Goodman Theatre's website for more information.